From left: Nicholas Fung, Sukree Othman, Kenneth de Silva, Amir Nazrin, Kemarol Baharin, Kim Leun Kwang, Wilson Choo, Danny Chia. A 13-strong Malaysian contingent was named today, spearheaded by the country’s top-ranked Gavin Green, at a Maybank Championship Media Golf Day at Saujana today. Aside from Gavin Green, two other local pros namely Ben Leong and Nicholas Fung are in the line-up by virtue of their efforts on the Asian Tour. The other home stars selected are Professional Golf of Malaysia (PGM) Tour Player of the Year Shahriffuddin Ariffin, Danny Chia, Amir Nazrin, Sukree Othman, Kim Leun Kwang, Arie Irawan, Ramasamy Nachimuthu, Wilson Choo, Kenneth De Silva, and Kemarol Baharin, who all qualified through the local rankings. 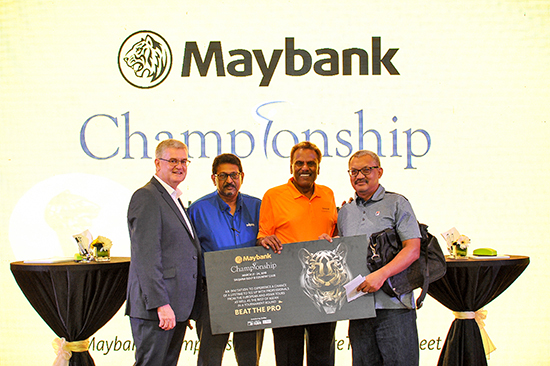 For Green, the Maybank Championship will present a good opportunity to make impact not only on his endeavours on the Europe Tour, but also the domestic game. 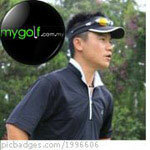 A lot will also be expected from Leong and Fung – both winners on the Asian Tour. The former played alongside Green in the World Cup in Melbourne, Australia, while Fung is generally regarded as among the most consistent of Malaysia’s players on the regional circuit. Shahriffuddin, a multiple winner on the PGM Tour and a player who secured his first Asian Development Tour crown at the co-sanctioned Labuan Championship last August – en route to retaining his Order of Merit title – is another one to watch at Saujana. The players in general at Saujana today welcomed the improved conditions of the Palm layout, also known as the Cobra course. This follows a refurbishment of the greens, which according to John Eu, Chief Executive Officer of GlobalOne, the promoters of the event, should reach at least 10.5 feet on the Stimpmeter. “We could maybe get it up to 11.5 during tournament week,” he said. “This is mainly because the most significant improvements made in the refurbishment centred on the 18 putting greens. What took place here was that the seed bed of all the greens was replaced with cleaner and slightly coarser washed river sand. This was vitally important as it improves the porosity of the seedbed which allows the greens to better accommodate our heavy annual rainfall. “Other improvements included providing the greens with better morning sunlight and air circulation through selective pruning and the removal of trees and undergrowth, and selective sub-soil drainage on fairways and other closely mowed areas,” added Eu. 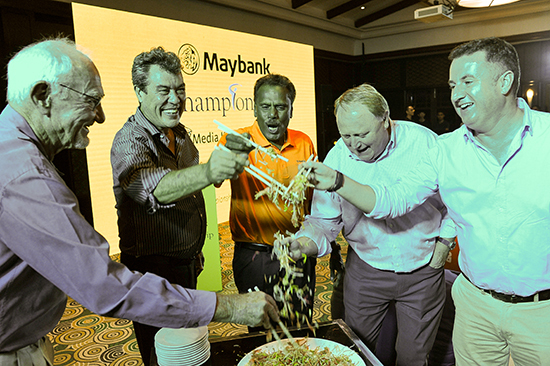 The Maybank Championship, which has become Malaysia’s premier golf tournament, is set to announce a few other star attractions soon.